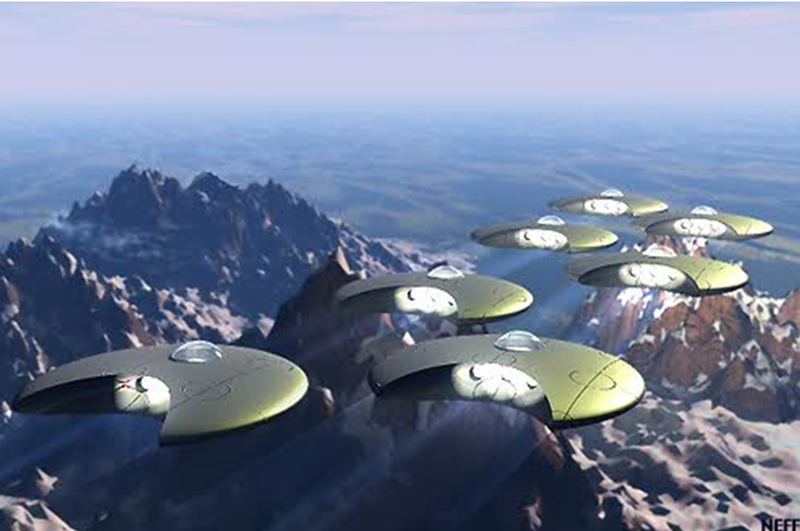 On one of my blogs recently we offered a free PDF version of our FutureScape IV magazine, and got four takers – who donated, but they did not have to. If you don’t want to donate to keep everything free, then email me and I will send you a copy anyway – it is important because of the Bible admonitions of being prepared for what is soon going to arrive – THE ARRIVAL OF THE STAR PEOPLE and the apex of the Strong Delusion.If you do wish to donate a little go to http://www.thelightgate.com and hit the donate button, anyone who does gets their PDF as well. Hard copy, 40 pages, full color $17.95 call 1-800-257-2672 or write me at P.O. Box 309, Boyceville, WI 54725. My email address is enigma@truinsight.com. Just say you want your FutureScape IV copy. This issue of FutureScape deals in a number of subjects – but is about the PARANORMAL, for the paranormal is going to become NORMAL in the very near future. For example, sighting of the “Virgin Mary” ar e in fact increasing around the world, in many nations where no one would expect them – and sightings of strange creatures are on increase all over the world as well. 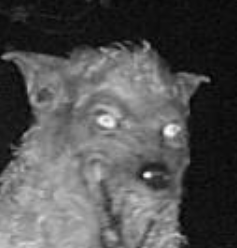 From ghosts to werewolves, to flying bat like creatures to moth man types, things are beginning to ramp up. It is going to get a lot worse and very soon. No one seems to want to know the real truth about portals and inter-dimensional travel, often referred to as the “thinning of the veil” – but we have many reports of creatures being seen that appear to be both here and in another dimension at the same time – and then we have NASA pictures of a flying craft that some say is the BLACK KNIGHT, an extraterrestrial satellite discovered back in the 50’s and written about in the newspapers. Yet few know anything about it. 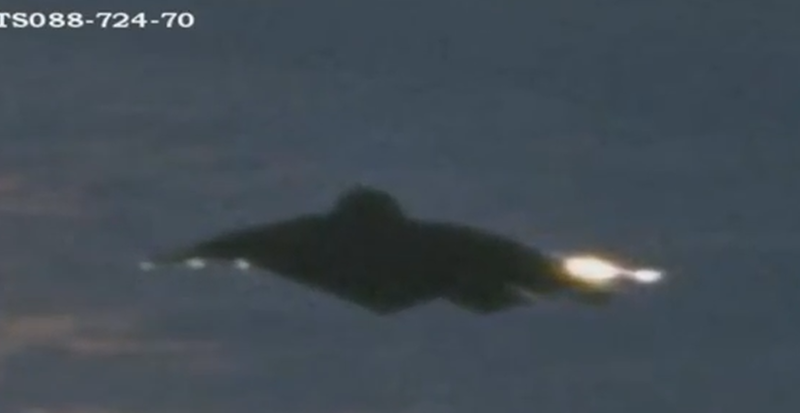 And then we have pictures of what appears to be the hidden anti-gravity craft called the TR3B, clear as a bell. And what about the Chinese LUNA PROBE pictures of a huge base on the dark side of the moon? It is in our issue along with a number of other real untouched satellite pictures of totally artificial structures on the moon and Mars. Part of our Project RedStar pictures are also included in this issue as well. There is coming upon this earth a FAKE arrival that is going to appear so real that the world will bow down to the Star people thinking they are our creators, the long awaited gods of yesteryear. It is all in the Bible, called the strong delusion. “When I was flying as a professional pilot, one night, at an altitude of 37,000 feet, late at night, I had a Naval Officer with the rank of Commander as my first officer – and what transpired that evening in conversation I will never forget. You must understand that when you are aloft late at night, with the stars above and the farms below, and the occasional city, it really looks like you are flying in outer space, and then you have the cockpit lights turned down, and the only interference you have is the occasional chatter of Air Traffic Control. It is memorizing to say the least. So I turned to him and said “Sure Ed, what’s on your mind? “ He then began to relate a most astounding story to me, one that was later totally confirmed by insider reports – the story of the Eisenhower meeting with aliens at an abandoned base in New Mexico – it actually did happen, according to Ed Haines. Now please keep in mind that I did not solicit this, we were both in total silence, enjoying the view and the cocoon of the cockpit. As he related this to me, I had no doubt whatsoever that he was telling me the total truth, and that what he was saying took place as he said it did. This abandoned base in New Mexico was selected because it was far from prying eyes, and if you remember the movie “Encounters of the Third Kind” this meeting was selected and mapped out well in advance, and that means that communications had to have been going on for some time well in advance of the meeting. There were armed guards at all entrance gates, there was a control tower that had been reactivated. It was in the afternoon heading towards evening when a very large circular shaped object appeared in the sky heading to the base, and when it arrived, it hovered silently over the tarmac and then landed and just sat there. Soon after this arrival, a long line of black SUV types rolled onto the tarmac – and both high level military and high level political types and what looked like President Eisenhower got out with what were Secret Service types and waited in front to this very large craft – which suddenly opened and out came a ramp. A figure was seen inside the craft and beckoned them on board and they all vanished inside this craft. According to Commander Haines the selected elite were on board for over 5 hours – and then they returned to their vehicles and left the way they came. Jesus says that his true servants will be hated, persecuted, reviled and ignored. They truly are – because people really do not want to know the actual truth, they prefer liars who call themselves Christians leaders and who offer up lies and deceptions and they have millions of followers which prove Bible prophecy is 100% correct. So with all of this information put under one cover, could anyone out there explain the lack of interest? Because it takes a lot of time to put these together, and if I am wasting my time, I better do something else. So I can’t lower the price anymore than zero – now can I? You have no idea how real all of this is and how soon you are going to be faced with it. WAKE UP – THE BRIDEGROOM COMETH. This entry was posted in Uncategorized by Stewart Best. Bookmark the permalink. Stewart….I am sure you believe in what you are doing, but we have strayed too far off the written Word as we have it and everyone and their cousin have a sinister tale to spin about UFOs, giants, economic meltdown, etc., that its actally getting to be a bit much. I’ll stick with the Bible and the direction from God that says that God has not given us a spirit of fear, but of power and of love and of a sound mind. It time to get back to the basic and bring Jesus back into the picture. 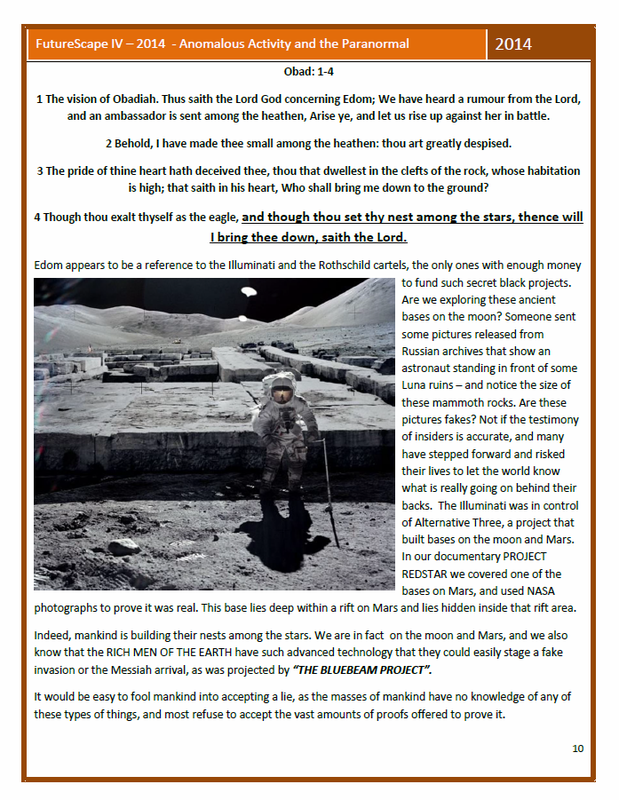 Did I use the word FEAR anywhere – only for the unsaved world is there any fear – UFO’s, giants, the arrival, all of it ARE in the Bible, so I report on it, the thinning of the veils as well, of strange sights and FEARFUL sights in the heavens. One can bury their heads in the sand in denial of simple facts, but anyone who has followed my ministry for years knows I do not preach FEAR. The world SHOULD FEAR for what is coming upon the Earth, but the Lord’s people SHOULD NEVER FEAR what is coming, rather to look up and know their redemption draws nigh, if in fact they be saved. YOu misunderstand what I am about. Others may comment as well on this, as you are not the first to totally misunderstand where I am coming from. Stewart….Thank you again for your honesty – for me, I probably will order this – but frankly, I’ve seen so much now that I’m almost afraid to look at anything else….I do much of my own research and like you am a “watchman” on a smaller scale…..its been years and I’m beat….like Larry said on Randy’s show….the watchmen are beat up in many ways. So, I know my reasoning but I can’t speak for others…..I think everything you do and have done is so beneficial and agree with just about everything you say…..but this little watchman is beat up….forgive the people that haven’t come through….I wonder what they’re reasonings are….those are mine…for yes, I need to know….and will order probably the end of the week. (I lost my 2nd job after the floods here and am treading water…!) but I can afford $18.00!! Hi Stewart, Another great article that hits the nail right on the head. The day will come when, what you wrote about will be right in front of their faces. Then they will look for answers and what is happening around them. Who can explain all these things? The ones that searched these things out and studied to show themselves approved. But then they may be gone and whoever is left, good luck. Also, on your BGR you had a video on the “BLACK EAGLE TRUST FUND”. Where did you get the video? 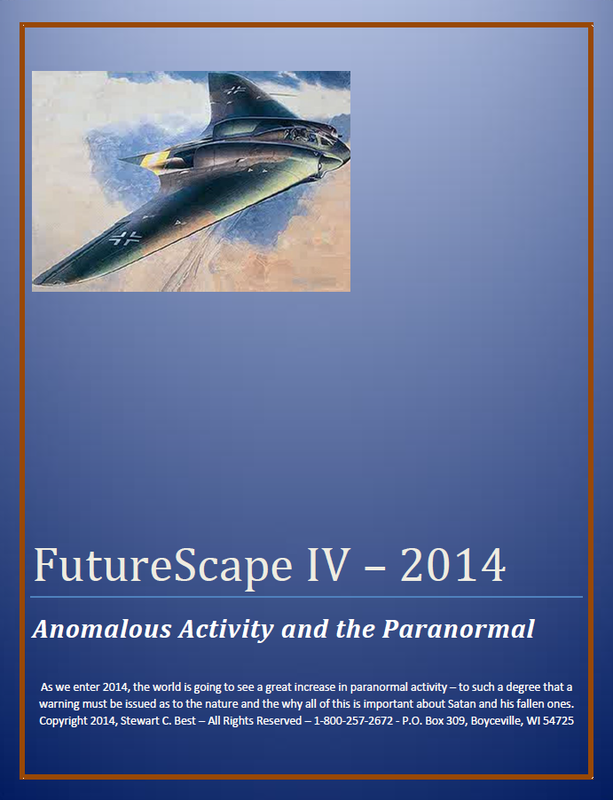 I would love a free PDF version of your FutureScape IV magazine. I must have missed that offer, my email gets full of junk and sometimes I get tired of going thru them. Please email me the PDF. I am very interested in what you have learned. Thank you! Target CEO says the answer is a chip. He is talking about in the Target credit card, but . .. . he also said we are all responsible for addressing this problem. Hmmm. How can we thank you? I’m sure no one has any idea what you have sacrificed, what steadfastness has been involved with your ministry. Only the Lord. But I can tell you what your work and vigilance means to me. Scripture and your words are the only truth in my life. I pray for you daily. Thank you, thank you, thank you. Thanks for the reminder Stewart. I will do that straightaway. When you first mentioned Future Scape 1V I went on site to order and then couldn’t remember the title! Re previous post, early this morning 5 Feb I was led to Ezekiel 23:22 and from there to the end of chapter 24. The judgment on Oholibah which happened then and is very close again now to the House of Judah and Babylon /America and the House of Israel dispersed in the nations. Verse 22 tells about their lovers turning against them including the children of Babel. 23:24And they shall come against you with battle-axe, chariots and vehicles, and with an assembly of peoples……..And I shall commit the judgment to them and they shall judge you according to their rulings. Unfortunately, the Word is being confirmed that we are no different, neither are we the exception to being destroyed. We were grafted in and just as Israel and all who chose to disobey God’s commands and sayings, which are clear and most ignore, (better yet are blinded to) therefore, they neither see or hear judgment is coming! As stated in the article, we are committed to our idols, whether it is sports, music, arts, politics, family, media and so on, these idols receive priority over obedience to God. What we fail to recognize that these things were set up to sabotage knowing and finding the Truth, Jesus Christ. We quickly, more times than not commit ourselves to one or more of the above without hesitation or reservation habitually. We are commanded to be sober and watchful at all times, but we are constantly being hooked into the next thing and so it continues. The point being the time of Christ’s return is nigh unto us, given possibly three to three and a half years minus January 2014. We must if we haven’t make finding Christ, “kiss the Son”, our priority! There is a hidden evil awaiting its turn to pounce upon us and wreak an unknown fear. Let’s make haste and WAKE UP, NO MORE TIME TO SLUMBER. I do believe you, Stewart. My comment is not on that, however, but on this: that Jesus said we would be reviled by even our families for believing a version of the world which is so different from theirs. My question is, how long can people stand this rejection? If this is a test of loyalty, isn’t a rather long test? Those of us who post here from time to time have probably all been on the straight gate-narrow path road for some time, and have take up our crosses. I don’t have to be “under the altar” as a martyr to say, “how long, O Lord”.